It is time to lace up those running shoes and begin training for an epic experience; running through the historic streets of St. Petersburg for the 26th annual Ergo White Nights Marathon. Past BAI Mount Elbrus climbers will tell you there is nothing like racing through the streets of St. Petersburg with runners from all over the world. Running either the 10 K or full marathon is also the perfect way to have one last work-out before attempting to reach 18,510ft/5,642m on Mount Elbrus. 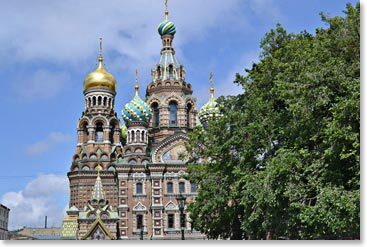 Arriving a few days early in St. Petersburg will give you a chance to prepare for the race and fit in some extra sight-seeing. If you are wondering what you should do on your extra days read the article Things to Do in St. Petersburg, or sign up for the Elbrus expedition to experience Russia with Berg Adventures! Join us in Russia this June!